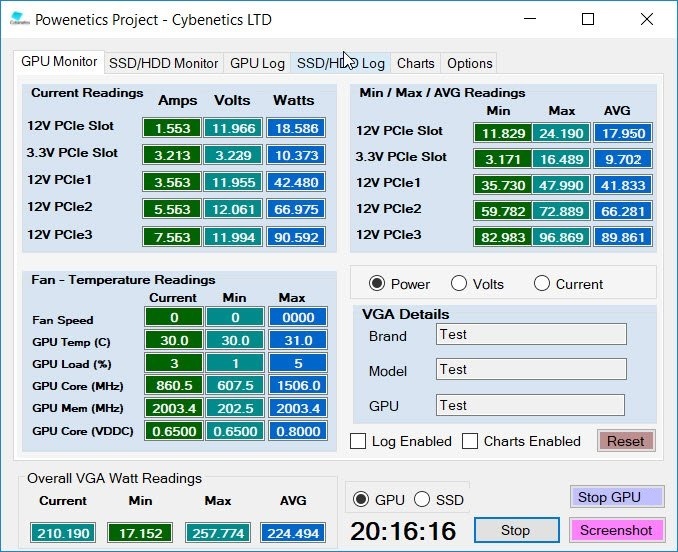 The Powenetics project allows the accurate power measurements of graphics cards, CPUs and SSD/HDDs. This system was designed with three main purposes in mind: to be highly affordable, easy to use and provide accurate data with fast polling rates, in order to be able to “catch” power spikes. Welcome to the Powenetics project, which allows the accurate power measurements of graphics cards, CPUs and SSD/HDDs. This system was designed with three main purposes in mind: to be highly affordable, easy to use and provide accurate data with fast polling rates, in order to be able to “catch” power spikes.To keep the implementation cost as low as possible and provide on the same time the ability to every user to be able to easily find the needed parts, we carefully chose components that are widely available on the market. The whole system consists of ten voltage/current sensors, three controllers which gather the data from the sensors and a specially made PCIe riser card, which is used for measuring the power that is delivered through the PCIe slot at +12V and 3.3V rails, to the graphics card. Besides the highly affordable price of the parts required to build this system, its main assets are the accurate measurements and the capability to calibrate the sensors if/when needed, through software. Since the power measurements are conducted through shunt resistors, the system is resilient to EMI noise, something that doesn't usually apply to measurements conducted through Hall effect sensors. On top of that, the system provides all voltage and current data at exactly the same time point, so it is easy to calculate the power that the graphics card consumes, without having to combine data from two different sources (as is the case in Hall effect based sensing power measuring systems), something requiring tight synchronization. Hall effect sensors are able to offer highly accurate current measurements, but in case several hounded of measurements are needed per second, in order to monitor power spikes, you need to synchronize the voltage readings with the current measurements from the Hall effect sensors, which from the moment they are not part of the circuit cannot directly measure voltage, but another sensor is needed for this task. Combining the data of two sensor systems and have it synchronized is quite difficult, especially under high data polling rates, given that you have to implement an algorithm that takes into account the possible delays in data transmission, which are not constant but vary. Each of the sensors used by the Powenetics system can measure current, power and voltage up to 20A/720W/36V. The minimum resolution is 1mA, 1mW and 1mV over the entire operating range and bidirectional current measurements are also possible. Finally, the averaging and ADC conversion time can be configured.This system has been initially offered to three major sites, which will evaluate it and help us further improve it. 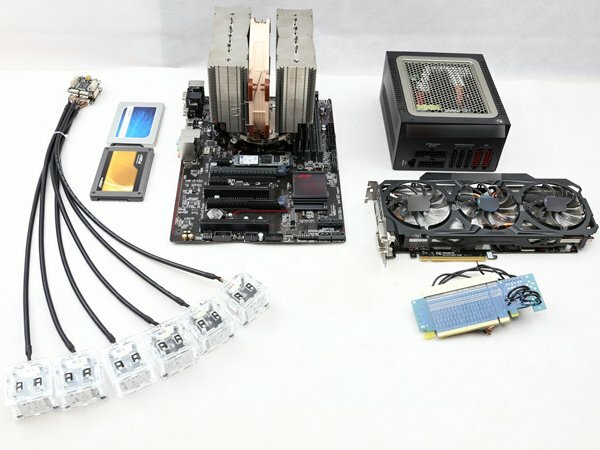 The graphics card reviewers of the above sites will provide to Cybenetics detailed reports of their GPU measurements, something that will allow us to build a Graphics Card power measurements database in the close future. We intend to do the same with SSDs/HDDs as well, at some point. Our future plans include to provide, by request, this system to every site and/or company that needs accurate GPU, CPU and SSD/HDD power measurements, for a reasonable fee which will allow us to further improve it, in both hardware and software. If you want to learn more about the Powenetics Project, feel free to email us by using our contact form.